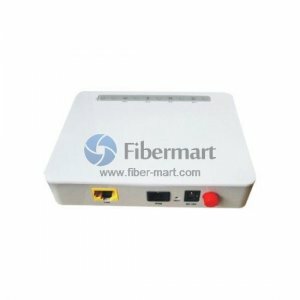 ONU (Optical Network Unit) and ONT (Optical Network Termination) – ONU and ONT are basically the same device – ONT is located at the customer premise, and ONU is located outside the home. ONU can be working in different temperature and weather conditions. It should resist water, winds and vandals. The ONU usually communicates with an optical network terminal (ONT), which may be a separate box that connects the PON to TV sets, telephones, computers, or a wireless router. The ONU/ONT may be one device.